There is so much to be said about statement-making fashion, it’s hard to know where to begin. But it seems that this spring, the beginning of any fashion statement — began with some bling. There was a time when the rules for investing in jewellery were steadfast in the realm of keeping things classic. Good jewellery appreciates over time, and so investment pieces needed to be timeless. An appreciation for the subtleties of fine jewellery was limited to the elite, while costume jewellery purveyors relished in the joys of bright acetates and gemstones, found in hole-in-the-wall vintage boutiques. Today, along with changing consumer perceptions and lifestyles, the concept of the investment piece has evolved to marvellous effect. The lines are blurred, and jewellery is no longer relegated as an afterthought to an ensemble, and instead as a starting point. 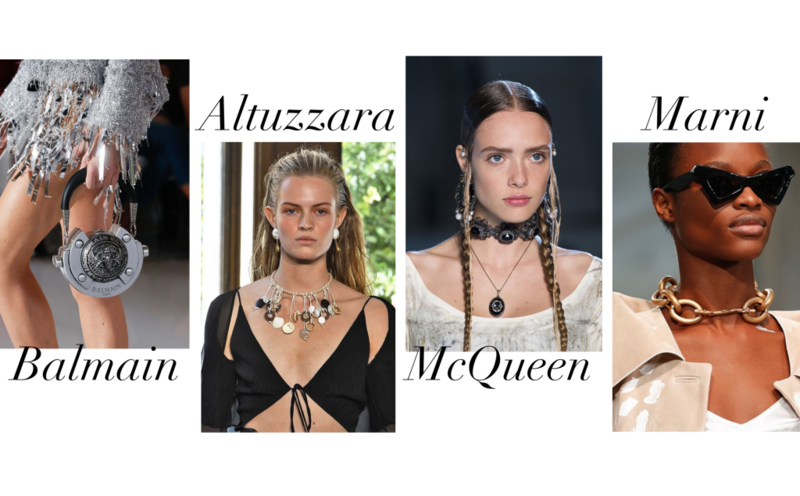 Across the runways this season, jewellery has well and truly taken centre stage, and the inspirations were nothing short of spectacular. 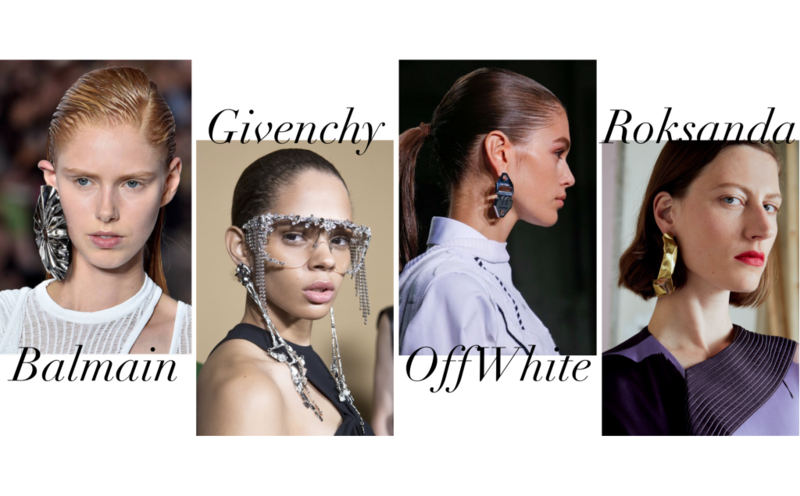 Take one look at Olivier Rousteing’s much talked about giant ear cuffs at Balmain, Givenchy’s incredible silver crusted spectacles, or Loewe’s artisan meets heavy metal set of large hoops and leather collars — and it becomes clear that minimalism is out — and maximalism is in. 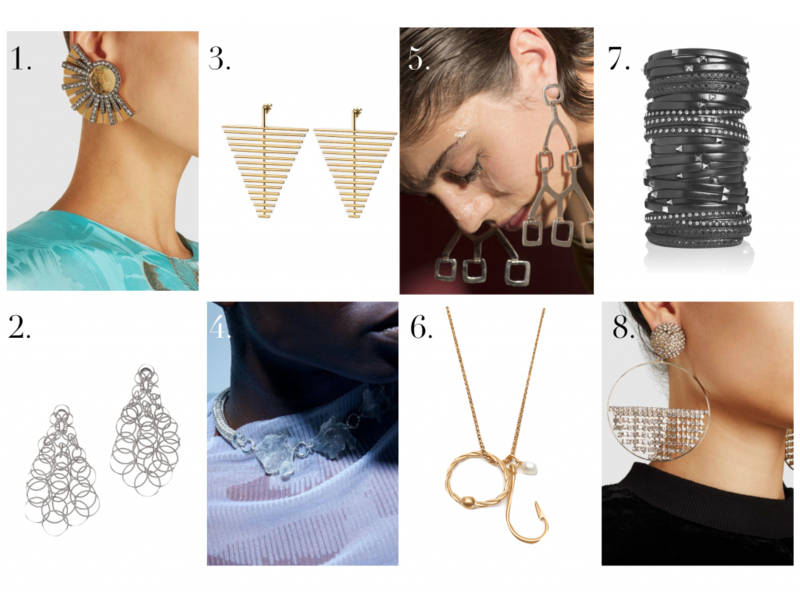 Think inter-galactic earrings, industrial sized cuffs, and an endless amount of chains worn in every which way. No wonder tone-on-tone beige has made a comeback, because who’s gonna be looking at your outfit when the jewellery is this mad and magnificent.